We are in the midst of a major Winter Storm. The snow is falling, the wind is blowing and the temperatures keep dropping. This warm, nourishing soup hit the spot today. The whole family gobbled this soup down for lunch. Next time I might try to double it since it went so quickly. Acorn Squash is brimming with Vitamins A, C, B6 and fiber. Winter squash is a healthy way to help ramp up your immune system this time of year. Wash and cut squash lengthwise in half. Remove seeds from the squash and discard. Place in pot with 3 cups boiling water and boil until soft for 20 minutes. Remove squash from pot and use a spoon to scoop out the inner flesh. Discard the outer part of the squash. Using another pan, place ghee (or olive oil) into pan and melt over medium heat. Next add in squash and all other ingredients. Cook and stir regularly over medium heat for 10 minutes. Turn off heat. Using an immersion blender, blend ingredients together until smooth for 3-5 minutes. This was shared on Slightly Indulgent Tuesday. This is one of my favorite recipes. It is a delicious twist on the traditional sugar-laden sweet potatoes often served during the Holiday Season. 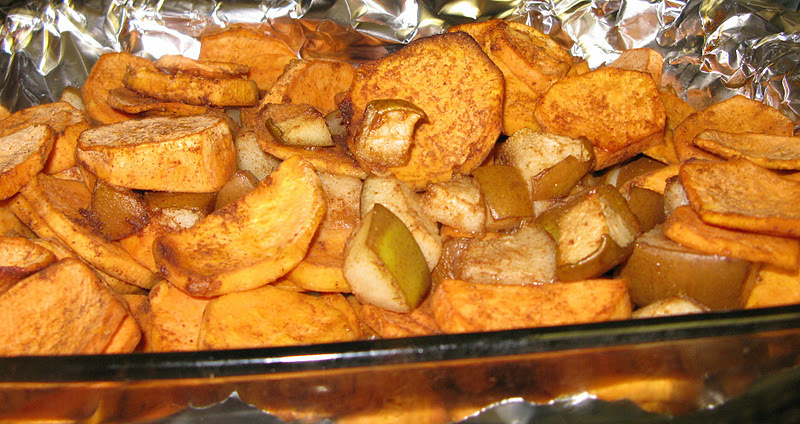 Sweet potatoes are abundant in Vitamin A while pears are rich in fiber and Vitamin C.
Preheat the oven to 350 degrees. Line a large baking sheet or casserole dish with foil or grease lightly with olive oil. 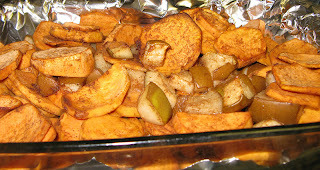 In a large bowl, mix together the sweet potatoes, pears, coconut sugar, vinegar and spices. After tossing the ingredients together for several minutes, place on the dish or baking sheet and bake for 1 hour. Enjoy! This recipe was shared on Family Fresh Meals, Allergy-Free Wednesdays, Ultimate Recipe Swap, It’s a Keeper Thursday, Gluten-Free Wednesdays, Pennywise Platter Thursday, Turning the Table Thursday, My Meatless Mondays, Gluten Free Holiday Thursdays, Wellness Weekend. It is also listed on Monday Mania and Sustainable Ways. 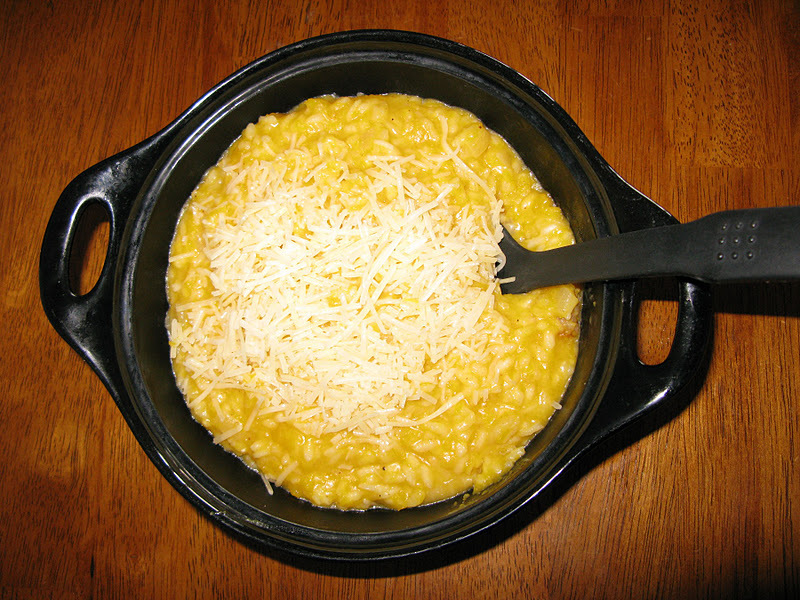 This risotto is scrumptious. Butternut squash is an excellent source of Vitamins A, C and E as well as a good source of fiber. But most importantly will YOUR family eat this? And the answer is yes-and they will probably ask for seconds! Pierce the squash with a fork in several places. Place in a slow cooker with 1/2 cup to 1 cup water. Cook on the low setting for 6 hours. After 6 hours, remove the inside of the squash and place into a bowl. Use a potato masher to smooth out the cooked squash. In a large pan over medium heat, warm up the olive oil and stir in the chopped onion and cook until translucent. Add in the rice, garlic, and squash and then stir for several minutes. Next add in one cup of the chicken stock. Once the rice has absorbed all of the stock, add in the remaining 5 cups of stock, cup by cup. If you would like to reduce the sodium in this dish, you may use 3 cups of water and 3 cups of chicken broth. When the rice is tender, add in the Parmesan cheese, ghee, nutmeg and salt and pepper. Stir over low heat for several minutes. I shared m this recipe on Allergy-Free Wednesdays, Whole Foods Wednesday, Melt in Your Mouth Monday, Lunchbox Love, It’s a Keeper Thursday, Tastetastic Thursday, Healthy 2 Day Wednesdays, Frugal Days, Sustainable Ways, Slightly Indulgent Tuesday, The Sweet Spot, Things That Make You Say Mmm, Full Plate Thursday, Mix it up Monday, Midweek Fiesta, Healthy 2 Day Wednesday, Gluten-Free Wednesdays, Just Another Meatless Monday, Ultimate Recipe Swap, Show and Tell, Totally Tasty Tuesdays, Hearth and Soul Blog Hop and Tip my Tuesday.